People don't want to open Portage and Main to pedestrians because they have no idea what it will look like, urban planners say after a new poll suggested declining support for yanking barriers from the iconic intersection. Michelle Richard, a former planner with the City of Winnipeg, says no vision or drawings have been presented to show the benefits of a pedestrian-friendly intersection — so people have drawn their own conclusions ahead of next month's plebiscite. "People will inevitably kind of fall to the perspective that they feel sort of speaks to their concerns — and for most Winnipeggers, it's a traffic concern." The proportion of people who favour opening Portage and Main to pedestrians is at its lowest mark in the 20 years Probe Research has tracked this topic, suggests the poll, which was commissioned by CBC Manitoba. The top concern driving opposition is the fear of traffic gridlock. Support for opening the intersection rose slowly, peaking at 42 per cent in 2016, but it has since slipped precipitously, with only 33 per cent of Winnipeggers who responded to the late August poll saying they want to reopen the intersection. The poll of 600 Winnipeg adults was weighted to reflect the city's age and gender demographics and has a margin of error of plus or minus four per cent. 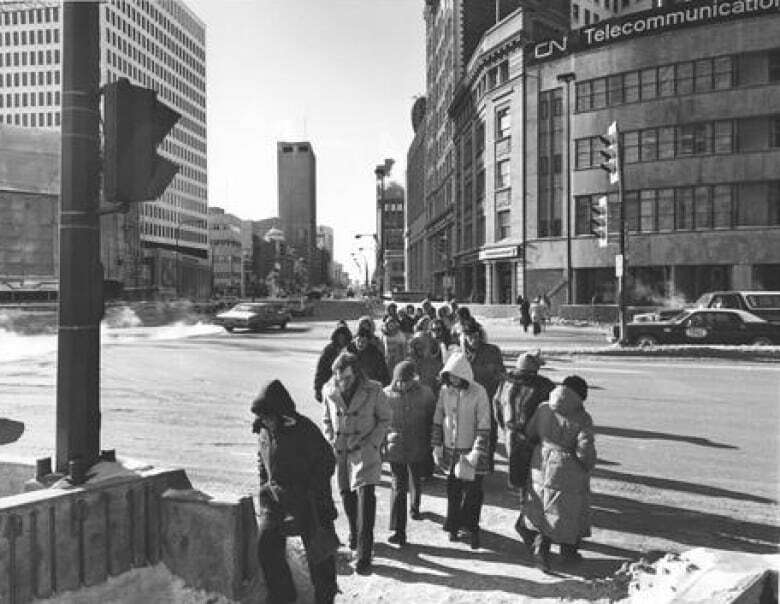 Even among young adults and people who live, work or play downtown, the majority of poll respondents don't want people walking across Portage and Main. 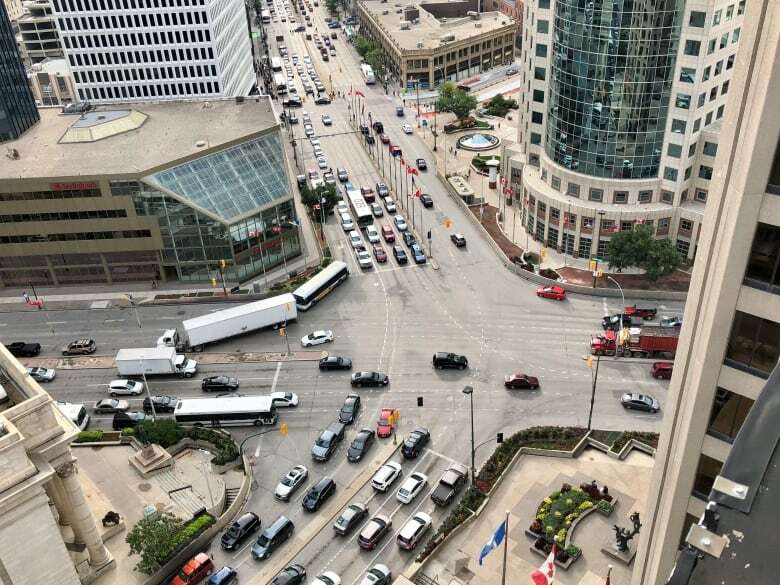 The poll suggests 42 per cent of Winnipeggers aged 18-34 and 48 per cent of those who frequently spend time downtown want the intersection reopened. And they're unlikely to budge from their stance. Seventy-six per cent of respondents said either there's no chance or it's unlikely they will change their minds. "There is a broad and deep intense dislike for this idea," said Mary Agnes Welch, a senior researcher at Probe Research. She believes the abrupt drop is linked to the recent focus on opening Portage and Main. The concept has become real to Winnipeggers for perhaps the first time since it was closed to pedestrians in 1979 in order to shoehorn people toward the shops downstairs. Richard, now a planning consultant with Richard Wintrup and Associates, said the declining support conflicts with the walkable neighbourhoods where we crave to live and the areas we seek out as tourists. Portage and Main should be a similar haven, she argued. "Something's been lost here," she said. "The focus of opening an intersection is, from my perspective, not the right focus. It's about how do we create the heart of Winnipeg in this place," she said. "Walking, and the opening of the intersection, is just one part of that whole vision that really should have been explored over the last four years." In 2014, Brian Bowman was elected mayor after a campaign during which he promised to reopen the intersection. Negotiations with the property owners at the intersection's corners lasted until early 2017, traffic study findings were revealed later that year, and the cost was pegged at $6 million with $5.5 million more to bolster Winnipeg Transit's fleet to accommodate rush-hour delays. A request for designs for the revitalized intersection, made earlier this year, has been shelved until after the plebiscite determines whether the majority of the public is even interested. While all this was going on, no one explained to Winnipeggers how an opened intersection could influence the city's economic, social and environmental well-being for the better, Richard said. "Nobody's gone through a process to explore and let people kind of have the opportunity to be brought along with an alternative vision," said Richard, who questions why the city never introduced a public awareness campaign. "Maybe moving forward, it has to be there. I don't know how you recover from the numbers [in this poll]." She said the survey's findings do not go against the city's efforts to promote active transportation, such as more bike lanes. Protected routes for cyclists, for example, can be seen and understood by people, Richard said. "With Portage and Main, it's something a little less tangible." Richard Milgrom, head of the University of Manitoba's department of city planning, understands the resistance to a barrier-free intersection. There has to be some kind of concept for voters to consider, he said. "People don't know what they're voting to have." Too many haven't considered that the intersection would have to be remodelled, he said. There would likely be barrier changes, a redeveloped median and a concerted effort to make Portage and Main a place where people want to linger, he said. "What most people want is what they know, and what people know is 'I like to drive my car through Portage and Main.'" The survey suggests 28 per cent of people consider traffic flow the top reason to keep the intersection closed to pedestrians. Other arguments, in order of preference, are the cost, safety of pedestrians and the view the investment will not improve the downtown. This debate hangs on traffic, Welch said. "That is sort of the litmus test on this question — do you think cars should be king or do you think pedestrians should be king? And we are profoundly divided on that issue." Hazel Borys, a Winnipeg-based urban planner, believes Portage and Main will always be the realm of cars, but it can and should exist for more modes of transportation. "We don't think of it as a people place, we think of it as a car place, but it can really be both, and it can be both really gracefully." The survey suggests 66 per cent of people agree with the statement that "smooth traffic through the downtown is more important than pedestrian access." Sixty per cent of respondents don't enjoy spending time downtown, while 33 per cent believe it's important for visitors and tourists to cross the intersection on foot. Many other intersections in downtown Winnipeg have similar traffic counts, yet there are no complaints about permitting vehicle and pedestrians at those corners, Borys said. "So much about this is just our perception. What does it mean to be a car city and what does it mean to also open ourselves to other ways of getting around?" In line with the city's swelling population, increasingly more vehicles are on Winnipeg roads. As of Sept. 1, 381,279 passenger vehicles were registered in Winnipeg, a total that has increased annually for at least the last decade, Manitoba Public Insurance said. Milgrom believes the city's car culture is firmly entrenched in part because some people have no choice but to drive. "It doesn't work to say people shouldn't be driving cars everywhere. There has to be some good viable alternatives to it," he said. "Right now we have an underfunded transit system. We have pedestrian environments that generally aren't very good." The 2016 census results say 69 per cent of the city's commuters (216,675 citizens) are driving their vehicles to work and nine per cent of people (28,065) are passengers, with the latter a rising figure. Transit ridership fell 1.1 per cent from the 2011 census to 42,375 riders in 2016, and walking to work remained fairly steady at nearly 19,000 Winnipeggers, or six per cent of commuters. Convincing more drivers to turn over their keys will take time, Milgrom said. City planning cannot be overhauled in a night, and urban sprawl nearly stipulates a driver's licence for many. "We need some people who will stand up and do the right thing. If we make every single decision based on some sort of referendum, it's going to be very hard." Outside Winnipeg's downtown, nearly four in five denizens balk at opening the intersection. Frank Capasso, president of the Sage Creek Residents Association, said he understands where his neighbours are coming from, even though he's in the minority who support opening the intersection. "To get downtown, unless you have a car, it's difficult to get to from where I live," Capasso said. Suburbs like his are growing, and his neighbours rarely feel compelled to go downtown. They pass through the centre of the city to go elsewhere. "We don't go enough downtown so people don't want it open." Frank Sherlock has a big stake in the future of the intersection. 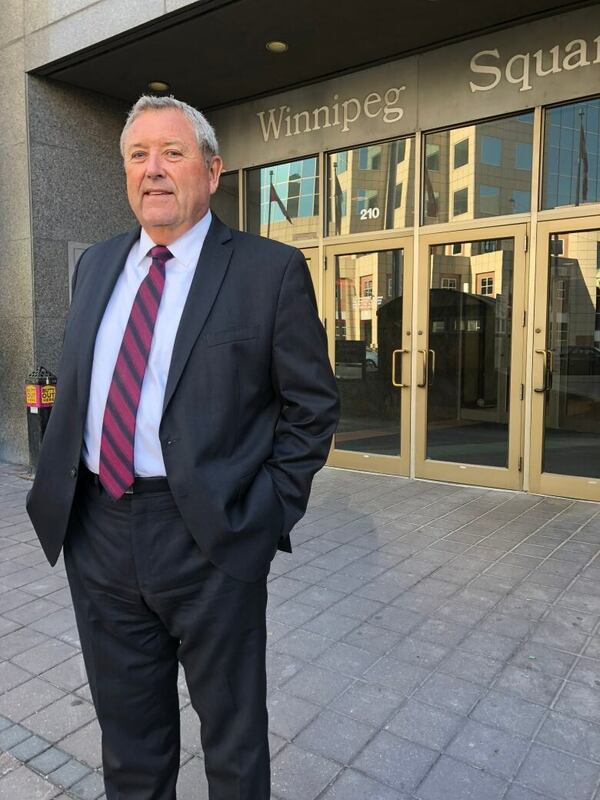 He's executive vice-president of property management at Artis REIT, which owns 1.5 million square feet of property around the intersection, including the Shops at Winnipeg Square. He supports making the corner pedestrian-friendly, but he wants meaningful development and investment along with it. Painting lines on pavement and installing street lighting is not enough. "If it's just opening the intersection, making it look like any other intersection and doing nothing else, I think it will be a flop." The referendum is non-binding, but Bowman and Jenny Motkaluk, the most high-profile candidates for mayor, have promised to do what the majority wants.